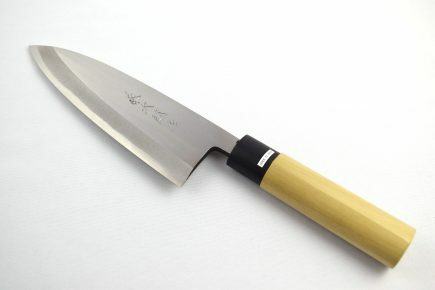 Tojiro DP Damascus Paring knife with a 120mm blade. 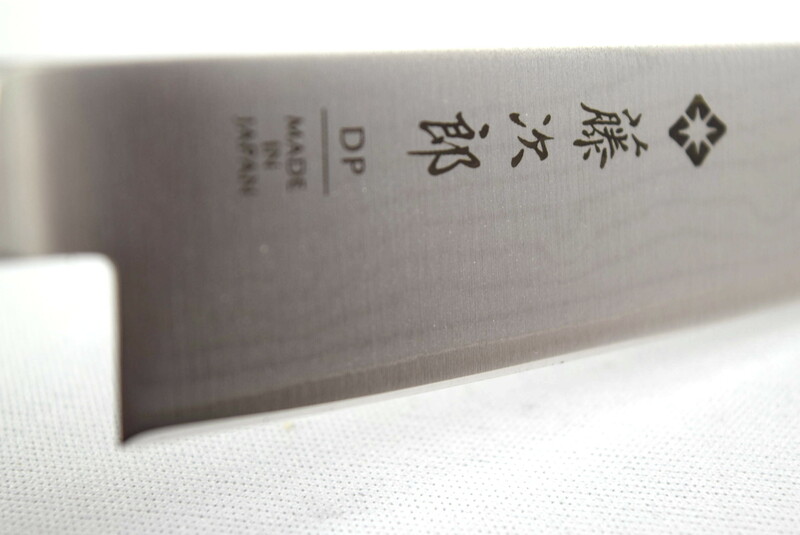 The Tojiro DP Damascus range is similar to the popular DP range but the blades are made out of 37 layers of steel. 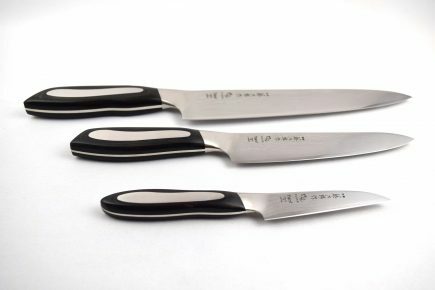 The core layer is stainless steel VG10 steel and is layered in alternate layers of high and low carbon stainless steel. 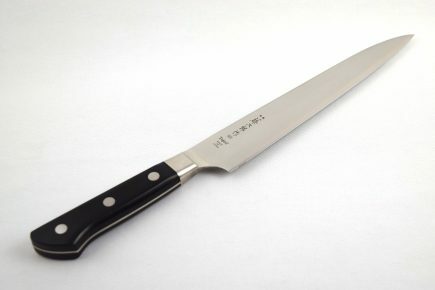 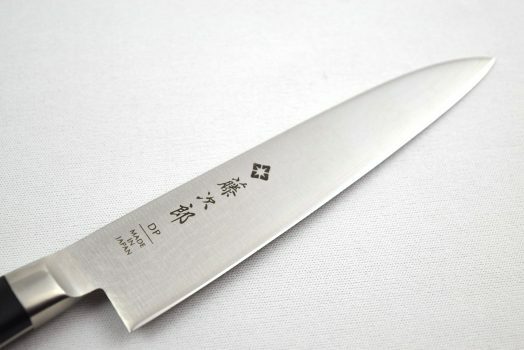 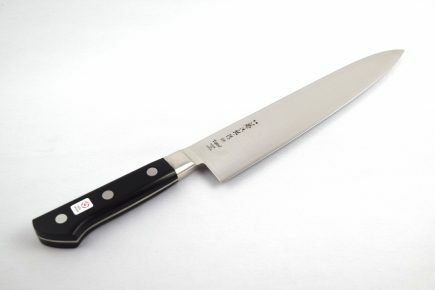 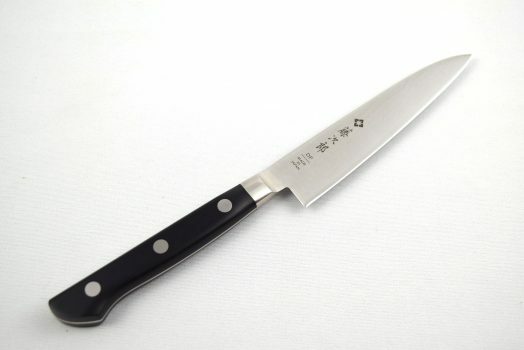 The bolster is made out of 18-8 stainless steel and is safely attached to the blade. Similar to the DP range you get a lot of knife for your money, hard to find a proper damascus blade with a western handle in that price range. The handle is made out of reinforced laminated material which has less shrinkage that normal wood.